When you have friends that will show up at a moment's notice and let you style them however you want. I was itching to use Annie's 5th birthday party Bubble Guppy wig again and had a random pink dress I needed to return to a collection. I added some pink lip color and we ran around my yard. Kiana was also the model for my Masking Tape shoot. Wow! 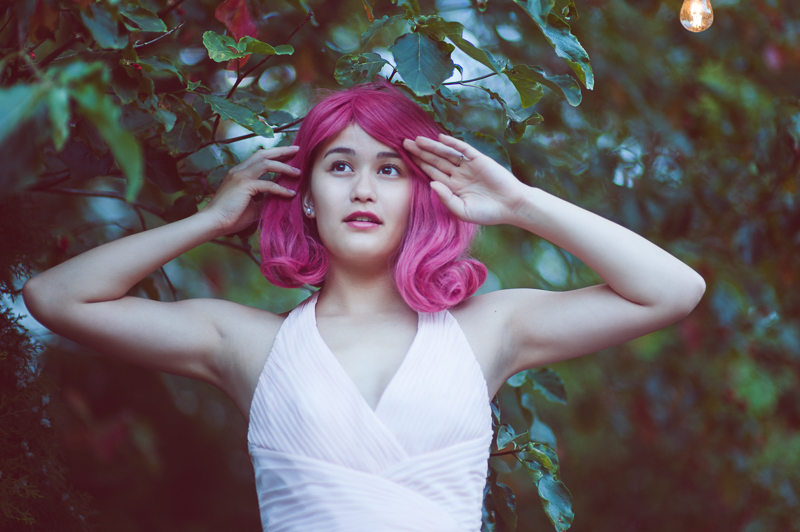 This girl looks awesome in this pink wig! Really good! 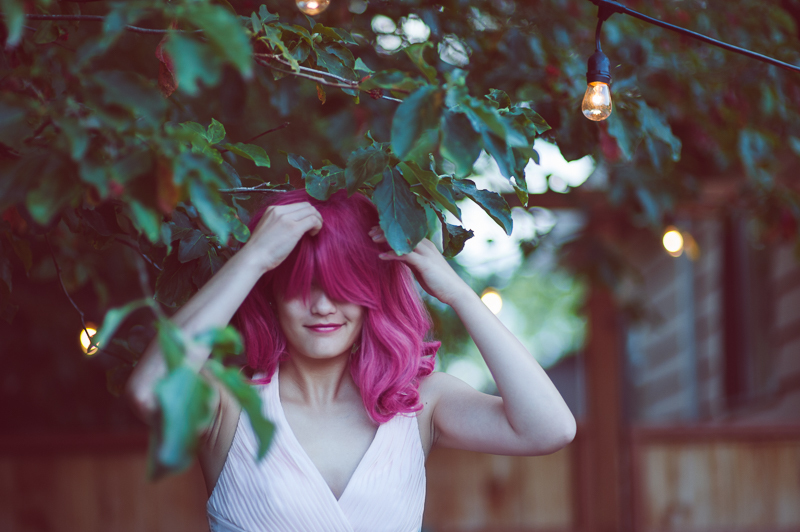 I felt a bit hesitant while buying a wig for the first time, so I clicked www.Hairward.com to update my knowledge about wigs and hair extensions, and it made it easier for me to make the right purchase.